The characteristics of the Zirconium Alumina alloy are its resistance to ABRASION, IMPACT, HIGH TEMPERATURES, THERMAL SHOCK. 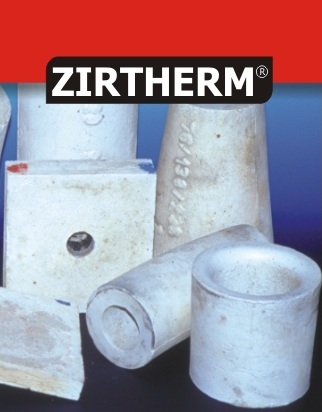 When in the same lining there are two zones with different types of wear, Zirconium Alumina alloy and Cast Basalt (Basaltyc) can be used complementing each other, as they are manufactured with the same pattern. Build houses or semi-processed parts drawings.